Between Arras and Amiens, treat yourself to the keys of an enclosure of character. With family or friends, 2, 3, 4 (...) or 9, come and relax! Whether you enjoy the charms of the countryside or the surrounding cities, whether you go to meet your past by collecting memories or other cultures by participating in the Ethiopian Coffee Ceremony (only at home! ), live memorable experiences. Our establishment is a former barn overlooked by a magnificent dovecote which combines an incomparable charm (building of 1855) and absolute comfort resulting from a total renovation in 2016. Enjoy a house just for you with 4 bedrooms and as many bathrooms, a spacious living room-kitchen, 2 terraces, a large courtyard with green areas and games for children and a parking. We were made very welcome upon arrival with a bottle of French Cider in the fridge too! The accommodation has everything that you cold want and was wonderfully clean. You do need to drive, most supermarkets and places to eat are a good half an hour away. 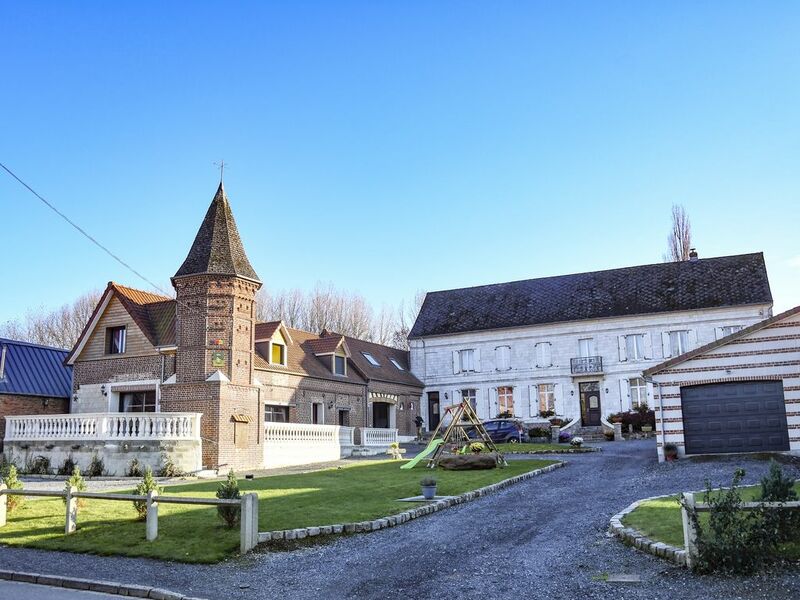 The property is 2 hours from Dunkirk and a nice easy drive. The village is typically French, very pretty and one night they had a fete in the road, it was great and the organisers couldn't have been more welcoming, it was a fantastic night! We would love to come back again one day. Very comfortable gite with four ensuite bedrooms. Great location for Arras and Somme battlefield memorials. Yoann was very friendly and well organised. Thank you. Thank you very much. It was a pleasure to welcome you and contribute to the success of your stay. Stayed for 5 nights, accommodation very spacious and very well equipped. Owner had very thoughtfully left some information leaflets for places to visit nearby. Would highly recommend. No shops in village, the nearest supermarket is about 5km.